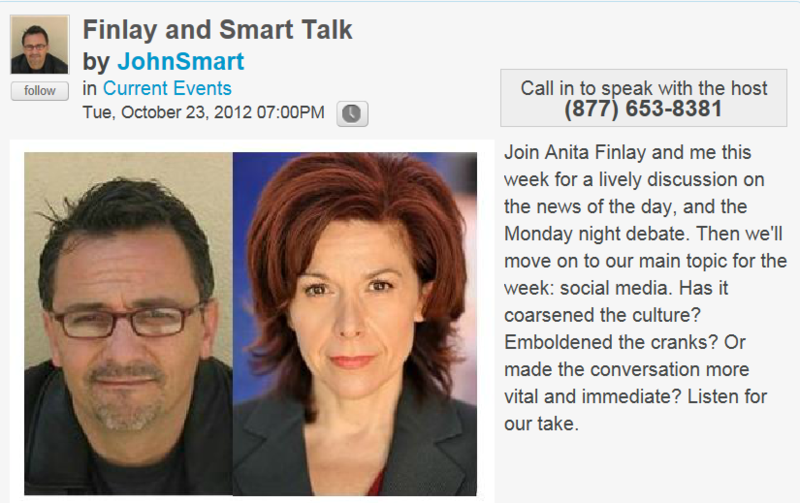 Finlay & Smart Talk Social Media: A Good or Corrosive Influence? Facebook. Twitter. The blogosphere. Both Social and New Media get a horrid rap in certain circles, and with good reason. Not only does everyone have an opinion, but the brazen behavior that gets broadcast behind the safety of a bloggers alias and/or the distance between computer keyboards varies from insightful and brilliant to hateful, even horrifying. Tuesday at 7PM PDT/10PM EDT, John Smart and I pick apart the good, the bad and the ugly. Tune in. Call in. Join us! Anita Finlay is the author of Dirty Words on Clean Skin, Sexism and Sabotage, a Hillary Supporter’s Rude Awakening, available at Amazon in print and kindle editions. 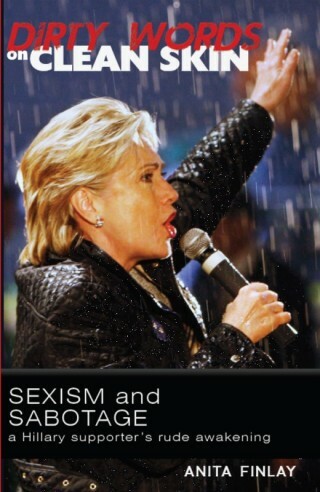 Also available at Barnes & Noble.